Take a Test on the Trinity. 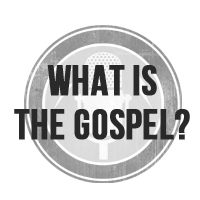 How well do you understand the doctrine that lies at the heart of the Christian faith? This test can help you know where you’re at in your knowledge of God and shows you where you could be. J.I. Packer Weighs in on Annihilationism. An important theologian gives his thoughts on why the punishment of those in hell will be eternal. A Rant About Songs Written for the Church. A enjoy these every now and then. Can the Devil Read My Mind? R.C. Sproul gives a short and helpful answer. The Kind of Dad I Hope to Be. Fun, creative, and insane. This entry was posted in Uncategorized and tagged annihilationism, bible study, church discipline, devil, evil, hell, judgment, prayer, singing, sovereignty, technology, trinity, worship. Bookmark the permalink.